The MAEKAN Community weights in on Donald Glover's new music video "This is America"
Donald Glover has every reason, as a young black man in America, to be angry at and frustrated with society. The music video for his latest single “This is America,” directed by Hiro Murai, is a carefully choreographed piece of art filmed in one location to appear as if all the events are occurring continuously. Each facial expression, dance move, and character in the rotating cast seems to carry the heavy weight of symbolism. Yet without Glover or Murai’s commentary, interpretations of the video necessarily carry with them the perspectives of the people writing them. Glover is showing us the America he sees, how each of us responds depends on the America we see. 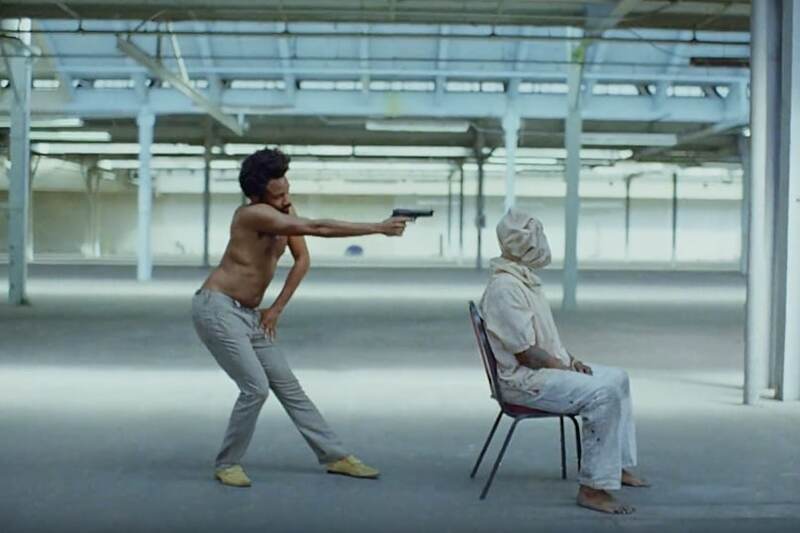 I see this video as a creative expression of the pain Glover feels, but I don’t see “This is America” as him proposing a solution or working as a solution itself. Childish Gambino also debuted another single on Saturday Night Live along with “This is America,” and I trust that both songs are the beginning of the story he is telling on a larger project he is releasing. Gambino has proven himself to be a storyteller best understood over time, so whatever we might think “This is America” is saying, is likely to be challenged when the entire album drops. Please note that we received many more longer, thoughtful answers than what is reproduced here. So many in fact that we will be including more on the website at a later point. Thank you to everyone who submitted responses: Soshi, Alan, Scott Masek, Carter Moore, Amina, Jeremy Leung, Spencer Kerber, Ryan Pun, Bee, Edward Barnieh, Graham, Alex Lendrum, GT, Lewis J, Sharon Lam, and Dennis Dang. How else have you observed music being used to provide social commentary? What potential do you see music as having to push change? How did you feel while watching “This is America”?